IAN HARRIS was a full professor at the University of Wisconsin-Milwaukee in the Department of Educational Policy and Community Studies. He earned his undergraduate degree in 1967 at St. John’s College in Annapolis, Maryland, a Ms.Ed. at Temple University in 1969 and in 1976 completed a doctorate in Foundations of Education at Temple University. He is author of Peace Education and Messages Men Hear: Constructing Masculinities, and over 50 articles on topics that range from accountability in education to the roots of male violence. He has co-edited Experiential Education for Community Development and Peacebuilding for Adolescents, and special editions of Peabody Journal of Education (“Peace Education in a Postmodern World”) and Journal of Social Alternatives. (“Peace Education for a New Century”). Dr. Harris has served as the executive secretary of the Peace Education Commission of the International Peace Research Association. In January 1977 he retired from the University of Wisconsin. 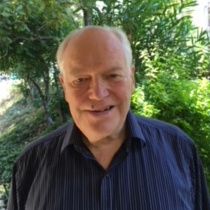 In 2008 Ian Harris moved to a retirement community in Walnut Creek, California where he upon occasion helps the local community groups with various peace education projects and continues on the board of this organization.